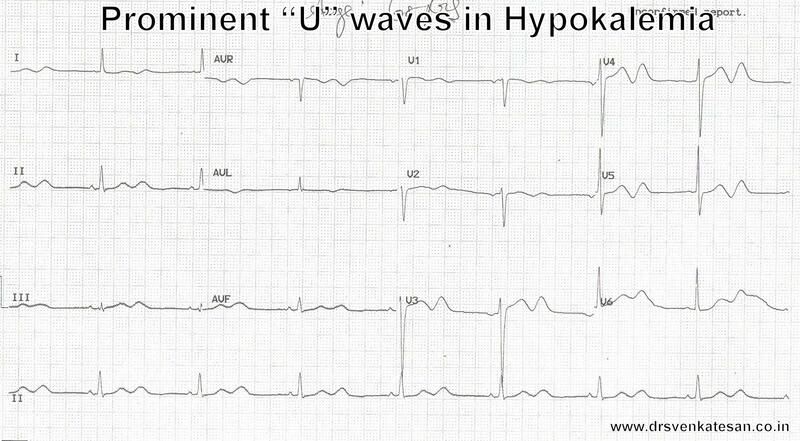 When sinus bradycardia accompanies hypokalemia “U” waves appear in a dramatic fashion ! 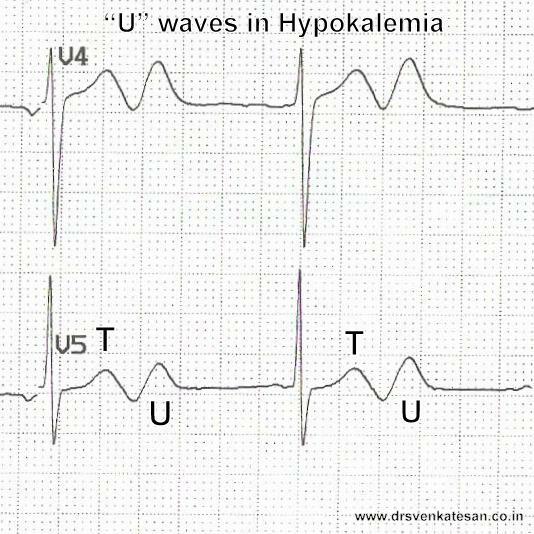 How hypokalemia result in tall U waves ? If Hyperkalemia elevates T waves it is natural to expect hypokalemia to blunt , flatten or Invert the T waves .Of course , this happens in many . In others with severe hypokalemia an intact T is accompanied by a tall upright U as well .This adds a mystery twist* to the exact genesis of this wave .